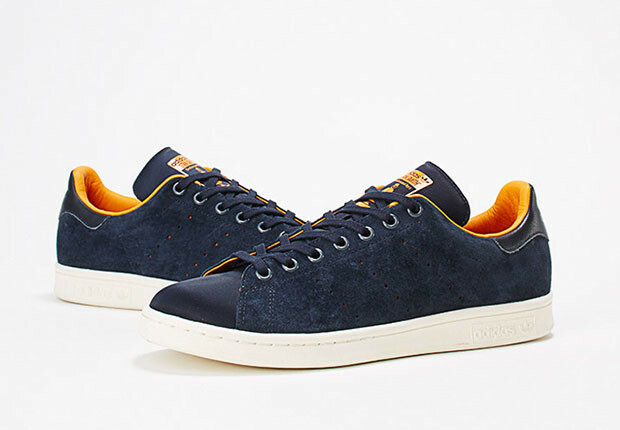 Japanese design house, PORTER, is celebrating their 80th anniversary with a powerful collaboration with adidas’ ever popular silhouette, Stan Smith. 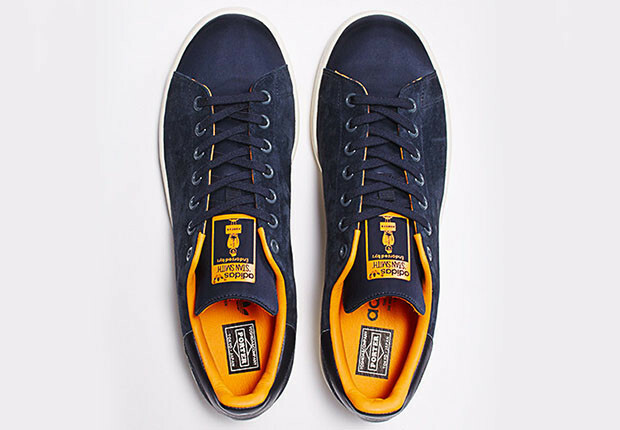 This instant classic features a primarily navy blue suede upper, soft leather heel tab, and orange accents. Rather than the usual bright-white sole, Porter and adidas made the conscious decision to utilize an elegant off-white sole to tie together tones. 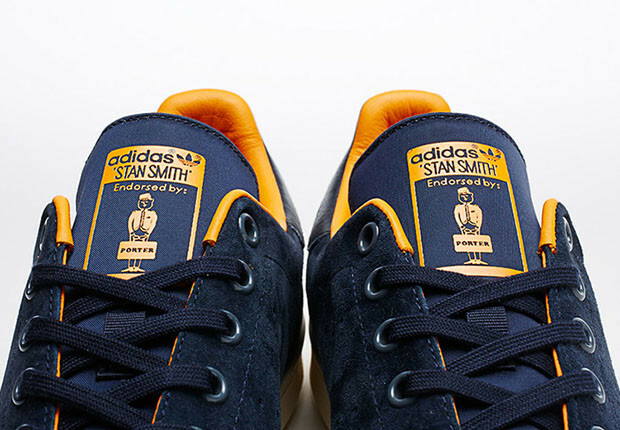 Just like any collaborated Stan Smith, the tongue sports a specialized graphic to note Porter’s endorsement on the design. There is no set release date yet but look to Japanese retailers soon to buy your pair.